Managers and supervisory staff who need to ensure that their organisation meets its responsibilities under fire safety legislation. 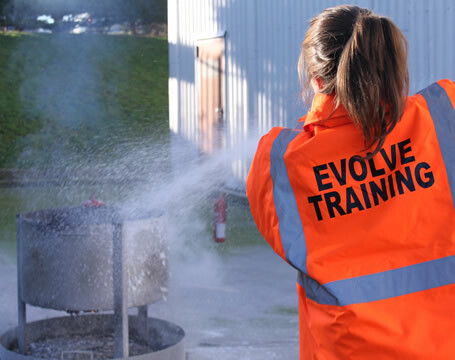 This qualification will equip holders to carry out fire risk assessments of most workplaces and identify the range of fire protective and preventative measures required. It is therefore also suitable for people moving into fire safety adviser roles. Unit FC1 is a taught unit assessed by a two-hour written examination. The written examination consists of ten ‘short-answer’ questions and one ‘long-answer’ question. All questions are compulsory.Candidate scripts are marked by external examiners appointed by NEBOSH. Unit FC2 is assessed by a three-hour practical examination undertaken within the candidate’s own workplace, to be taken within 14 days of the date of the FC1 written papers. The practical examination is internally assessed by the course provider and externally moderated by NEBOSH. To achieve the full NEBOSH Fire Certificate, candidates will also need to attend and pass the NGC1 module.